The Windows 10 Creators Update changed some of the default privacy settings for Microsoft’s OS. 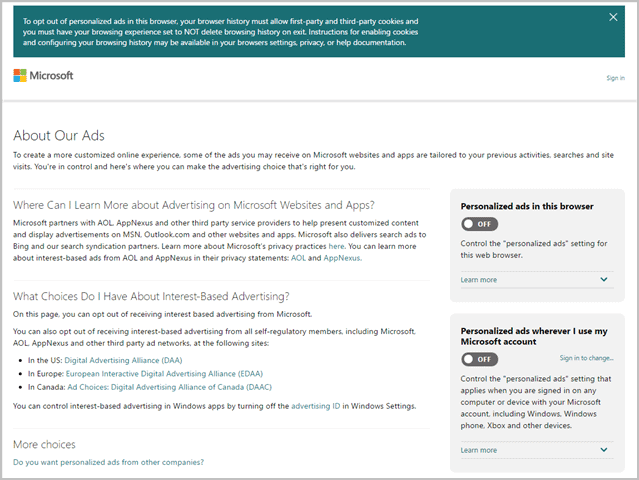 When you first install Windows 10, regardless of version, Microsoft takes intrusive steps to ensure they can collect as much data from you for advertising purposes. This data can customize your experience in Windows 10 in many ways, not just to serve you advertisements. Let’s look at the subtle changes to privacy settings that came with the Windows 10 Creators Update. Overall, Microsoft is trying to be more transparent about the data it collects and how it uses. This includes changing how you customize privacy settings, along with how much information they give you to understand why they are collecting data. Data sharing options have been cut down from three to two, basic and full versions. The basic version allegedly only sends 50 percent of the day Microsoft used to collect back to the company to use elsewhere. By visiting the Privacy options in “Settings,” you’ll see a variety of more customized options for just about every type of privacy issue you could encounter in Windows 10. 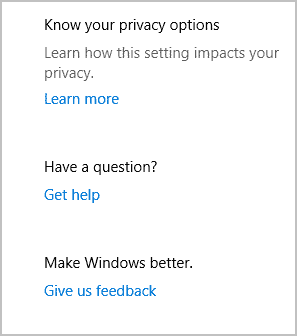 We encourage you to go through each setting and customize Windows 10’s privacy options to your liking. 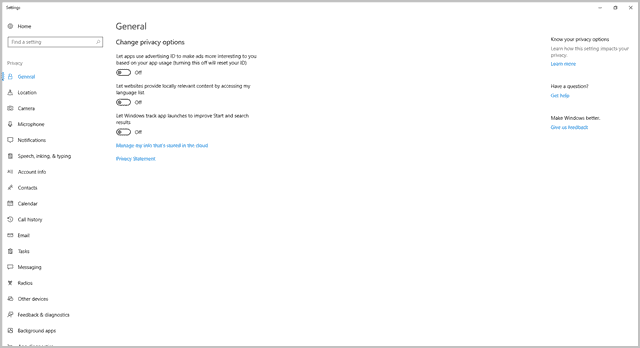 From the “General” tab, you can opt out of privacy data store in Microsoft’s cloud. Take the time to go over each of these settings. In the right-hand corner of just about every area of privacy settings, you’ll find a link to learn more about what that setting will do as far as privacy goes. 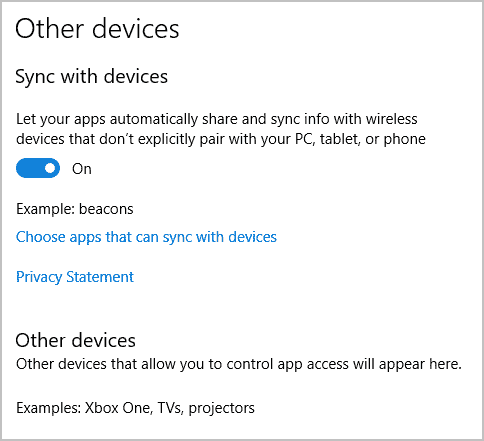 This will open a tab that lets you turn on or off being able to share information back and forth between devices synced to Windows 10, such as Bluetooth headphones, your Xbox One, and more. 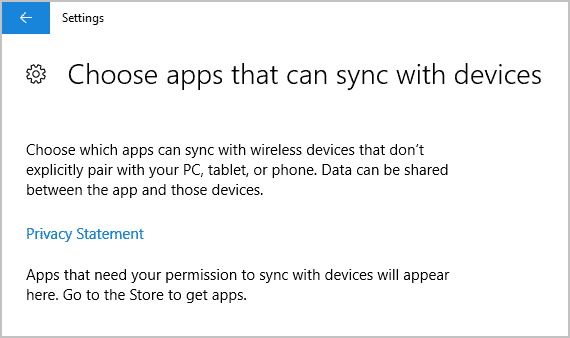 You can also further customize what specific apps can sync with devices connected to Windows 10 from here. In January, well before the Creators Update was released, Microsoft allowed Windows 10 users to customize their privacy settings via their Microsoft account online. To customize your Microsoft Account privacy settings, click here. While this isn’t officially part of the Windows 10 Creators Update, you should take the time to log in and update your settings as you see fit. Unfortunately, you still can’t opt out of data collection completely when using Windows 10. Until Microsoft adds this functionality, it won’t be a truly consumer-friendly operating system. No matter how many updates like the Creators Update that rolls out, consumers will continue to be taken advantage of when it comes to privacy. Like the functionality of Windows Update, perhaps full control over privacy settings will come sometime in the future – but we wouldn’t count on it. Previous articleWhat is Kindle Unlimited And Is It Really Worth Subscribing?